All bars are adjacent and will not overlap since they represent a certain interval (group) of measurements at a specified frequency. 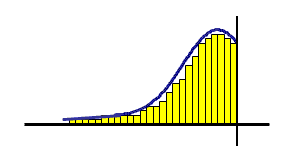 The histogram, when made up of normally distributed data, will form a "bell" curve when a smooth probability density function is produced using kernel smoothing techniques. This line that generalizes the histogram appears to look like a bell. Often the more data being analyzed and with more resolution will create more bars since more intervals or categories of data are available to plot. The more measurements at various frequencies will create more bars and fill up more of the area under the probability density function. To assess the data there should be at least 5 bars or intervals and at least 30 data points. There are a variety of histograms with some explained below. This is also a useful visual tool to depict the skewness and kurtosis of a distribution. These histograms have the curve on the right side or the most common values on the right side of the distribution. The data extends much farther out to the left side. These distributions are common where there is an upper specification limit or it is not possible to exceed an upper value, also known as boundary limit. This may occur if a customer has requested the process run at towards the upper specification limit as opposed to targeting the mean. The measure of central location is the median. The distribution of the data reaches far out to the right side. This may be caused by a process having a lower boundary. Cost or time plots commonly exhibit this behavior. If most common value is 10, the middle most value is 15, and the average of the data set is 20, then the distribution is right skewed. These histograms appear to have two or more (polymodal) behaviors occurring in one process and appear to have two points of central location. This can be caused by two sets of data being analyzed as one that are from different populations such as plotting the heights of females and males as one distribution. The distribution is flat or not exhibiting much of a bell shape and has no appearance of a central location. 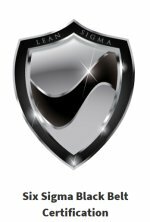 This may occur when all values between a lower specification limit (LSL) and upper specification limit (USL) are weighted equally acceptable. In other words, values very close to the limits are as a good as a value in the middle. Click here for more information on the Uniform Distribution. Points are evenly distributed among a central value or location. The mean is used to describe the central location of distribution. The median, mode, and mean are all close to the same value AND the Coefficient of Skewness is close to zero. 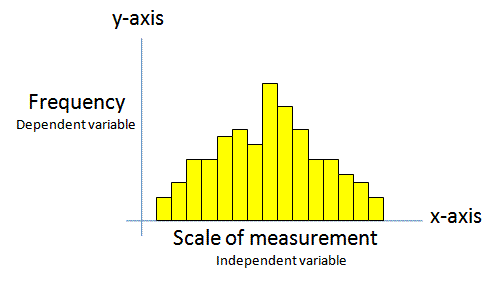 Click here for more information on the Normal Distribution. The plots below depict a regular and a cumulative histogram of the same data. The data shown is 10,000 points randomly sampled from a normal distribution with mean of 0 and standard deviation of 1. The x-axis labels are represent the z-scores. 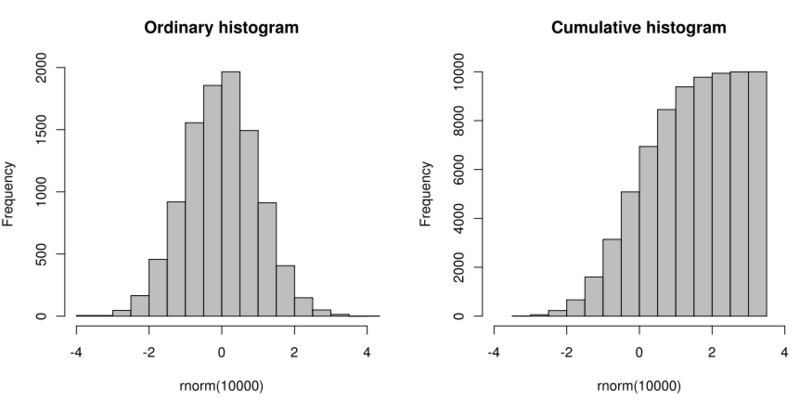 Notice the cumulative histogram gradually increases to 10,000 (to represent all the data points) and the ordinary histogram shows that data points as they fall into certain data intervals. Karl Pearson is credited with developing the formula below to measure the Coefficient of Skewness. The formula compares the median with the standard deviation of the same distribution.